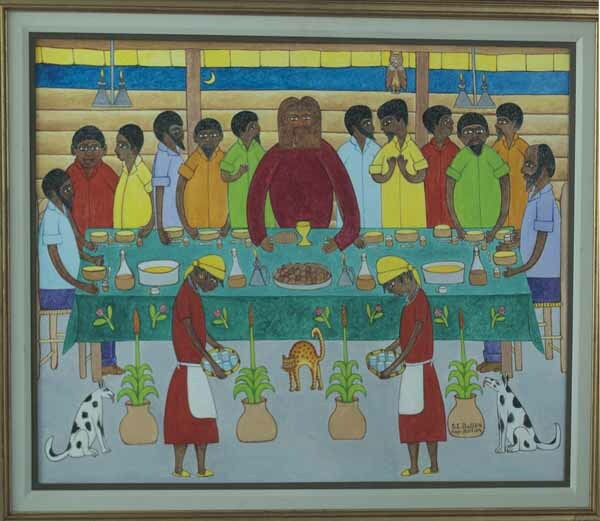 Seymour Bottex was born on Christmas Eve, 1922 in Port Margot in the north of Haiti. His grandfather was an important General in the Haitian Army. After finishing secondary school he worked for some years as a photographer. 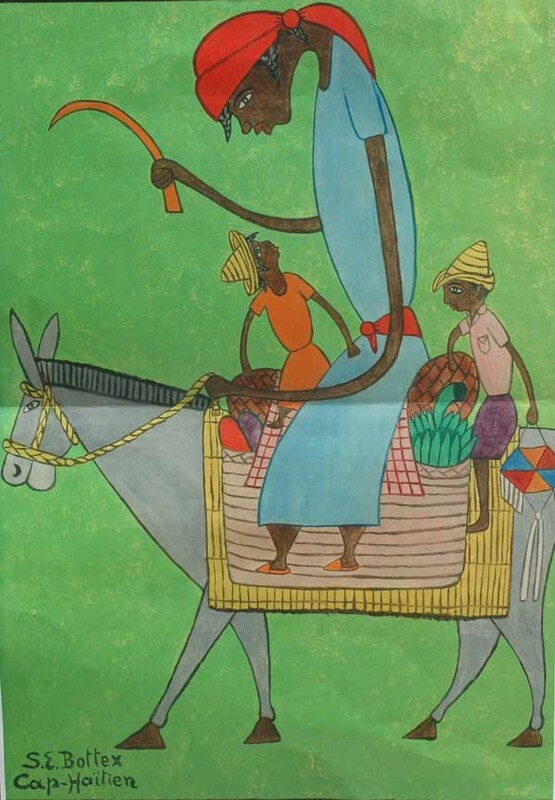 Around 1955, encouraged by his older brother, Jean-Baptiste, another well known artist, he began to do drawings in color. In 1961 he joined the Centre d'Art and in 1969 began to paint in the atelier of the Galerie Issa. 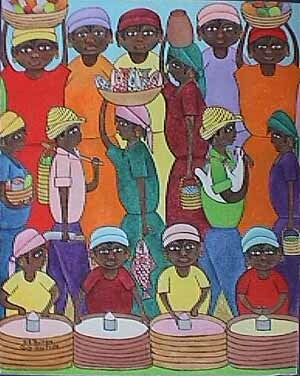 His style is distinctive; He uses bright colors and strong lines to depict the everyday occurrences in Haiti from colonial generals to market women to voudou gods. His paintings often have a surreal touch.